Want to have tasty food but at cheap prices? Who better to advise us on that than college students? We decided to speak to a few Kolkata people who’ve gone to college here to find out which iconic eating places they frequent. And they picked their fave joints to have a good meal and for a chill time with friends. We asked a bunch of college students about their favorite adda spots and curated a list of places that serve cheap but yumtastic food. From kochuri aloo and jaleebis to honey chicken and potstickers, our stomachs are already grumbling! Recomends It For: Panfried momos. A recent Geology graduate, Anusha swears by this small food joint located right behind her college (Jogomaya Devi College). Easy to sneak off from class and convenient to the pocket, this place is a great adda spot for the old and young. 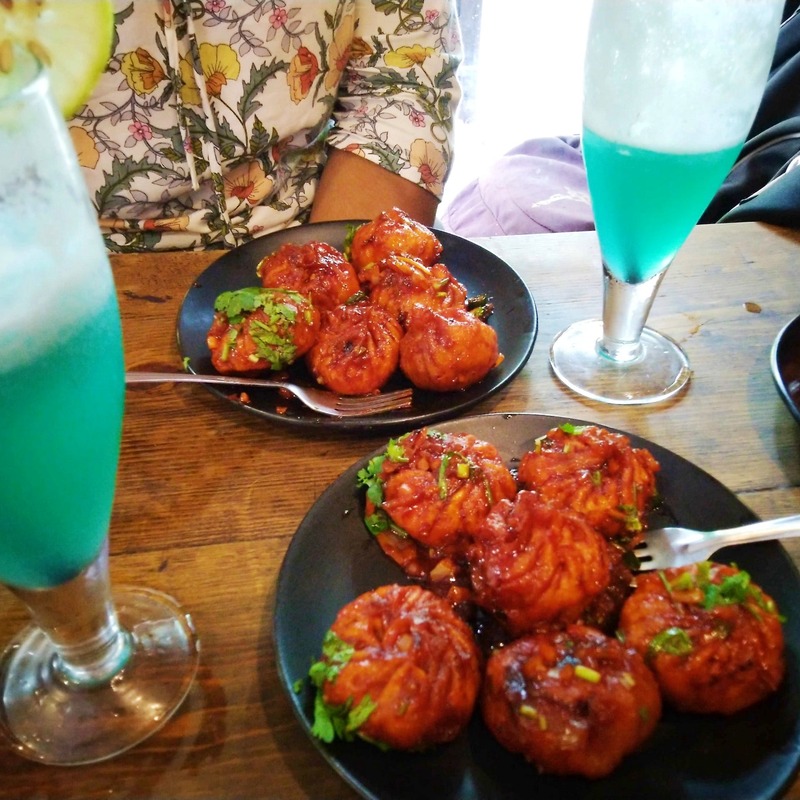 Panfried Potstickers or as Anusha describes them as delicious crisp-on-the-outside-juicy-on-the-inside momos tossed in a mild schezuan sauce, is a popular favourite here and costs a meagre INR 90. She recommends trying their Chicken Phaley as well. Recommends It For: Kochuri and Aloo. A second year student of St Xavier's College, Sauhardya drops by to Chhotu's Tea Stall (on Wood Street) almost every day. The reason behind his loyalty? It’s a pocket friendly place to grab a bhaar of tea and catch up with friends. One can try out the Kochuri & Aloo here and end the meal on a sweet note with hot Jalebis after class. Everything’s priced between INR 20-30. Recommends It For: Mughlai Paratha. Aneesha, an English student from Loreto College says she hangs out with her gang in Gariahat's Das Cabin. An iconic eatery from Kolkata's golden era, this one is particularly famous as an adda spot even today! Aneesha's favourite is he Mughlai Paratha served here and pairs it up with mutton kosha (INR 150). Incredibly pocket friendly, this cabin eatery also has quintessential Bengali favourites like chicken kabirajis and fish fries with kasundi. Recommends It For: Honey Chicken. Craving some Asian food? A comparative lit student from Jadavpur University, Shaoni swears by the Honey Chicken (INR 155) at Grub Club. A popular no-frills attached student destination for Chinese and even some Thai (spotted some Satay priced at INR 170), this place is great to hang out with your gang because the portions are large and the prices are pocket friendly. Lunch combos start at INR 140. Recommends It For: Pancakes & tea. A student of St. Xavier's, Imon prefers old school eateries with character. He and his gang's favourite spot is Favourite Cabin, a 100-year-old eatery steeped in history. You can still get tea for INR 3 here and it's usually ordered with toast (INR 6)! The patties and pancakes are comparatively new additions to their menu.